Wet meadows and bogs and streamsides. Based upon personal observations, plant no closer than 10 inches apart in target areas for typical coverage, and no farther apart than 14 inches. (2) Pojar, Jim, et al. (1994). Plants of the Pacific Northwest Coast. Lone Pine Publishing: Vancouver, British Columbia, Canada. (4) Spellenberg, Richard. (2001). 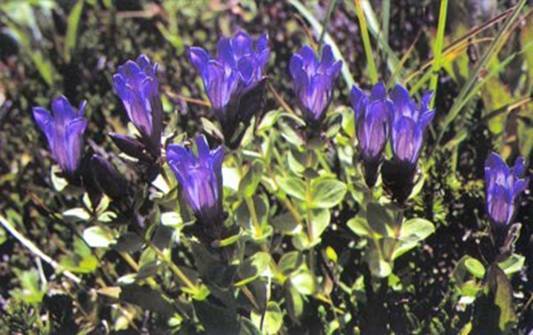 National Audubon Society Field Guide to North American Wildflowers – Western Region. Knopf: New York. (5) Taylor, Ronald J. and George W. Douglas. (1995). Mountain plants of the Pacific Northwest. Mountain Press Publishing Company: Missoula, Montana, US. (6) Visual observations (Autumn 2005) of Walter Wilson at Bird creek meadows (Mount Adams, Washington, US).